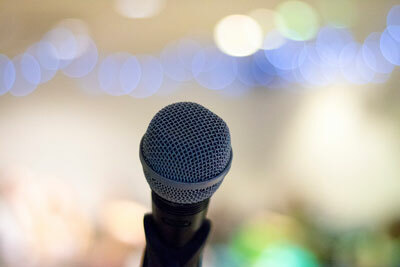 Confidence is key when it comes to public speaking. It can definitely be intimidating to have numerous pairs of eyes staring at you at one pinnacle moment. 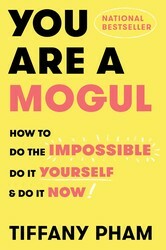 Tiffany Pham, author of YOU ARE A MOGUL, explains how to succeed in communicating your ideas in a public setting. Write down the central ideas or thoughts that you wish to share. If you’re particularly new at public speaking, you may need to write these ideas out word-for-word like I used to. Practice reciting them over and over, until the words roll off your tongue. Then, for the meeting or speech, simply write down several key words that remind you of each main idea, in order to jog your memory, worrying less about the exact words to use and more about the message you’re trying to communicate. Focus on looking the audience in the eye, instead of staying focused on your notes. I would locate one person (someone kind-looking or smiling) in each part of the room, with whom I would subsequently make regular eye contact. This would in turn make me more at ease. Take your time speaking, pausing as necessary. I had a tendency to speak quickly during cold calls initially, in a rush to get over the pain. I realized that enunciating and speaking with intent made me appear more certain of what I had to say, and thus made the audience feel more certain of what I had to say, too. Learn to add gestures that match your words. I would count off with my fingers if I was making points “1,” “2,” and “3,” which added energy and displayed further confidence. If you are unsure of whether you are coming across clearly, practice your talking points before your presentation, class, or board meeting. You can even videotape yourself on your phone and identify where there are places where you aren’t speaking loudly enough, or don’t talk with enough conviction. Speaking in front of people is a skill that must be practiced. It very rarely comes naturally, but is something that people work at, and dedicate time to perfecting. But just remember that the more you do it, the easier it gets. I am living proof of that. Excerpted from You Are a Mogul by Tiffany Pham Copyright © 2018 by Tiffany Pham. Used by permission of the publisher. All rights reserved.